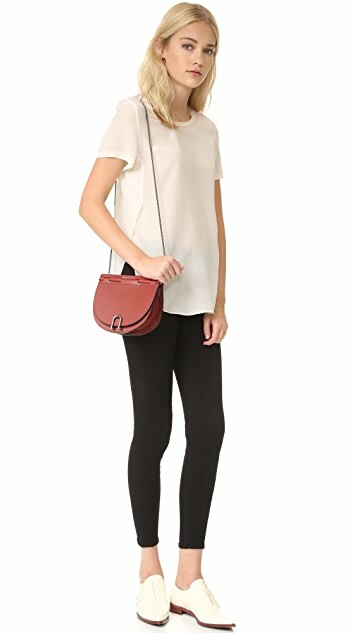 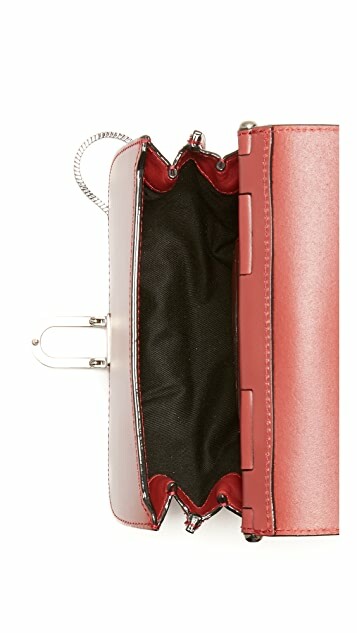 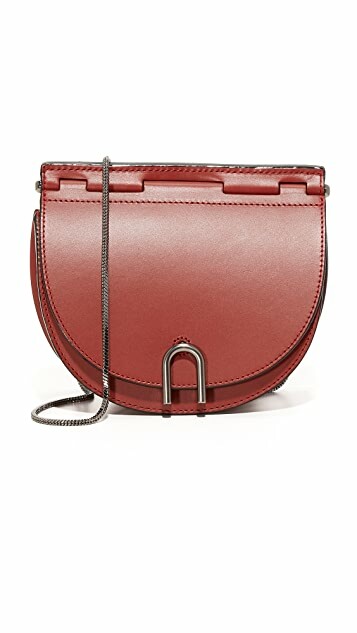 A petite 3.1 Phillip Lim saddle bag with glossy trim. 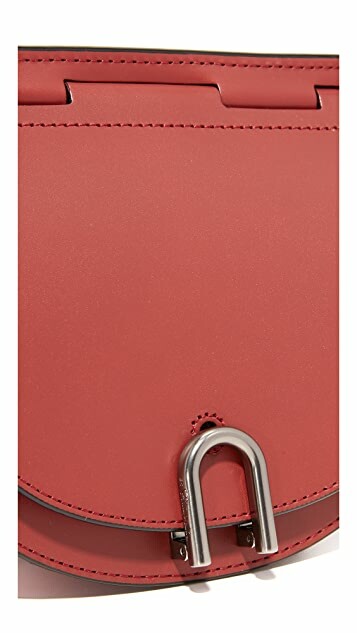 The hinged top flap secures with a push lock, and opens to a lined interior with 3 card slots. 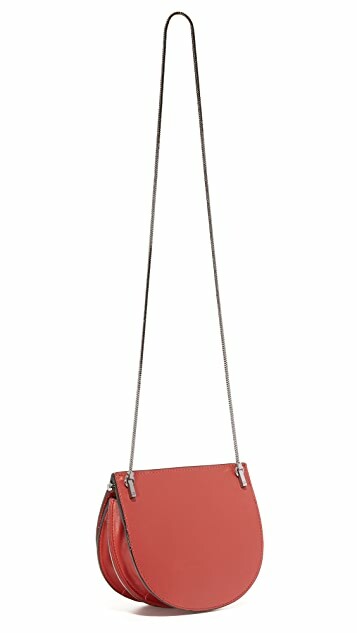 Chain cross-body strap.